Ann Shen is an illustrator, designer, and best-selling author based in Los Angeles. 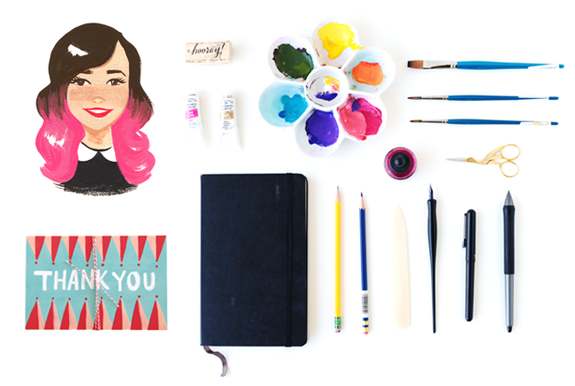 She’s created work for a number of publications, campaigns, products, and galleries for children of all ages. She lives with her husband and their two dogs and one grey tabby cat. Bad Girls Throughout History (2016) and Legendary Ladies (2018), both published by Chronicle Books. She’s currently working on her third title. Available for freelance projects & hello's! Please get in touch: annlashen@gmail.com. All work posted, unless otherwise noted, is copyright of the author © Ann Shen. The work and/or all content on the site may not be downloaded, printed, or copied, without permission from the author.